Cypriot MPs have concluded discussions that will enable those wishing to acquire a property to do so under a leasing agreement rather than purchasing it with the aid of a mortgage. MPs on Monday wrapped up discussion of government bills introducing leasing as an alternative method of borrowing, hoping to take the legislation to the plenum by April 7. Speaking to reporters, the committee’s acting chair Angelos Votsis (DIKO) said efforts to introduce leasing go back a number of years. A person wishing to acquire a house would indicate the property to the bank. The lender would buy the property and lease it, he said. The lessee or tenant would pay the agreed instalments and from there on would have the possibility of buying the property. It was important, however, that the Central Bank of Cyprus issues guidance explicitly informing the public of their rights and obligations under a leasing agreement. “Whoever enters into such an agreement needs to know that it is not a mortgage, and should be made aware of the advantages and risks,” the MP said. Introducing leasing, Votsis added, should help the banks tackle the issue of non-performing loans. Non-performing loans (NPLs) on owner-occupied housing account for less than 15 per cent of all NPLs, according to earlier Central Bank of Cyprus data. By contrast, the ratio of NPLs as a percentage of banks’ total loan portfolio was 45.8 per cent in December 2015. Total NPLs in the Cypriot banking system stand at €26.7 billion. During previous discussions of the leasing bills, the banks called for tax and other incentives, as well as fast-track procedures facilitating both lessors and lessees. One proposal floated was that the two parties to a leasing agreement should be exempt from capital gains tax. In addition, as part of a leasing arrangement, the parties to it would be exempt from paying the special defence contribution. A point of contention during earlier discussions concerned the length of time when an owner of a property – a bank or lessor – can take back the asset which is being leased if the user is not being consistent with payments. 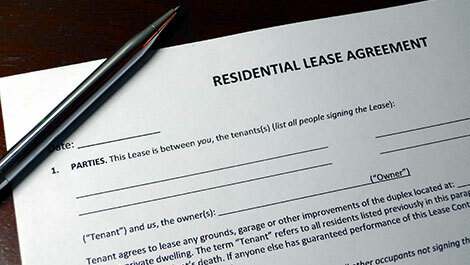 So now they can lease and not pay rather than buy and not pay – nice! I wonder how long the list of advantages will be compared to the list of disadvantages, assuming there is one.